BUKIT LANJAN: Either it’s mandatory death or not, no discretion please! The Cabinet’s review of the Dangerous Drugs Act 1952 to allow judges to use their discretion in sentencing offenders instead of imposing the mandatory death sentence is certainly disturbing. Disturbing because discretionary powers mean it is open to abuse and is also subject to weaknesses. “It is either mandatory or not. No discretion. 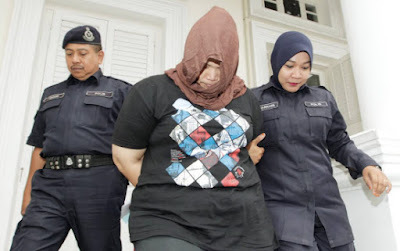 Why must a judge, who is after all human, allowed to decide on the life of a drug trafficker?” Gerakan Deputy Speaker Syed Abdul Razak Alsagoff asked. He said despite the death penalty, the drug abuse menace continues to grow and cripple communities and society, drug trafficking continues to thrive and flourish. “There is still no fear in many drug pushers and traffickers despite the death penalty. Imagine what will become of the drug abuse problem if the death penalty is removed,” he added. He said the death penalty for drug trafficking should either stay or be removed. Or the amount of drugs that constitute drug trafficking be raised slightly so that normal users/petty pushers are not given the death sentence. "The big time drug lords who finance and bring in drugs by the kilos are mostly hidden and do not face the brunt of Malaysia's mandatory death sentence for drug trafficking," he added. otherwise than in accordance with the authority of this Act or any other written law shall be presumed, until the contrary is proved, to be trafficking in the said drug." “No discretionary powers, please! Discretion opens the door to abuse and weaknesses. It may even breed corruption in the judiciary and may even cause racial misunderstandings when one race is sentenced to hang but another is not. 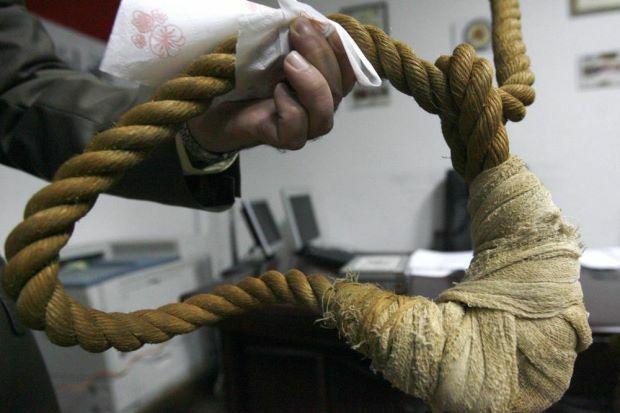 “If one is found carrying more than an amount of drugs that constitutes drug trafficking, just hang him or her. Why the discretion? “If it is deemed cruel, then do away with the death penalty. No discretion, please,” he added. Syed Razak, who is Gerakan’s nominee to contest N.37 Bukit Lanjan in the coming 14th General Election (GE14), said “we are already seeing so much confusion in judicial decisions and the meting out of punishments”. He reiterated that the Cabinet should refrain from making changes to the Dangerous Drugs Act 1952 that would cast doubts and confusion in implementation and enforcement. “Just decide whether you want to make it mandatory to hang the scumbags or not. If not, remove the death penalty. No discretion please. It is just seen as unfair when decisions and punishments are meted out,” he added. On another note, Syed Razak said, drug abuse is a disease that needs to be treated via methadone replacement therapy, religious and moral counselling and also some strict disciplinary regiment. "Thus, it would be wiser to raise the amount of drugs in possession to constitute drug trafficking to deserve the mandatory death penalty but not to allow judge the discretion," he added. THE Cabinet has agreed to review the Dangerous Drugs Act 1952 to allow judges to use their discretion in senten cing offenders instead of imposing the mandatory death sentence. Minister in the Prime Minister’s Department Datuk Seri Azalina Othman Said said the review will enable judges to mete suitable sentences in marginal cases where offenders could be given jail sentences. Azalina said the review was presented to the Cabinet on March 1 by Attorney-General Tan Sri Mohamed Apandi Ali. “The Cabinet has agreed to an amendment of Section 39(B) of theDangerous Drugs Act 1952 to include the additional clause to provide discretionary powers to the courts when sentencing, apart from the mandatory death penalty, for drug trafficking. “As such, the ministry as well as relevant agencies will prepare a Cabinet Ministers Memorandum together with a recommendation to amend the Act for the consideration and approval of the Cabinet,” said Azalina during the winding-up speech on the motion of thanks on the Royal Address yesterday. She said the implementation had to be done through the legal process, and added that many countries had also made changes on the death penalty. Ramkarpal Singh (DAP-Bukit Gelugor) had asked if the move could have a retrospective review on pending death penalty cases, if approved. Gobind Singh Deo (DAP-Puchong) also asked if there could be a moratorium in place on pending cases until the Act was amended. To this, Azalina said it was too soon to say as the matter was still at an early stage and there were many other processes to go through before a decision could be made. Lawyers’ body wants government to abolish death penalty for all crimes following Cabinet decision to review mandatory death sentence in the Dangerous Drugs Act. 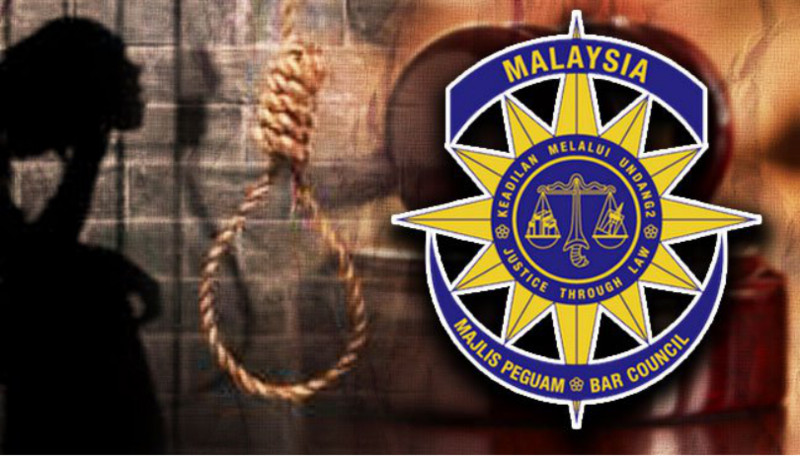 KUALA LUMPUR: The Malaysian Bar has called on the government to declare a moratorium on all pending executions. This follows a decision by the Cabinet to amend Section 39(B) of the Dangerous Drugs Act 1952 to include an additional clause providing discretionary powers to the courts in sentencing drug traffickers. 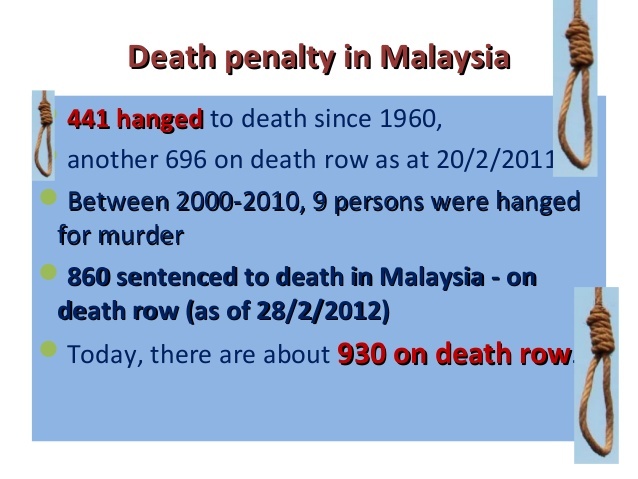 Malaysian Bar president George Varughese said studies had shown that there was no conclusive evidence of the death penalty having deterrent value, particularly in respect to drug offences. “It is prudent and just that the decision regarding whether to impose the death penalty be left to the discretion of the judge,” he said in a statement today. He said in light of the imminent amendments, the council was renewing its call to the government not to carry out executions in the interest of justice and fairness. “It is only right that when the reforms come into effect, they should be applied retrospectively,” he said. On March 23, Minister in the Prime Minister’s Department Azalina Othman Said announced the decision following a presentation to the Cabinet by Attorney-General Mohamed Apandi Ali. She said she had directed the Solicitor-General to expedite the drafting of the necessary legislative amendments. Varughese said the death penalty should be ended for all crimes. “The Malaysian Bar calls upon the government to act swiftly to abolish the death penalty for all crimes, and to uphold the right to life, which is absolute, universal and inalienable,” he said. “There are also provisions for the imposition of the mandatory death penalty in the Penal Code and Firearms (Increased Penalties) Act 1971, and of the discretionary death penalty in the Kidnapping Act 1961,” he noted. He stressed the Bar’s stand that the death penalty was an “extreme, abhorrent and inhumane punishment” irrespective of the crime committed. Varughese said judges were currently prohibited from considering mitigating factors and circumstances that surrounded each case before sentencing. THERE are about 1,122 prisoners on death row nationwide as of Feb 21, said Deputy Prime Minister Datuk Seri Dr Ahmad Zahid Hamidi. He was quoting Prisons Department statistics in a written reply to Kasthuri Patto (DAP-Batu Kawan). The MP had asked Dr Ahmad Zahid, who is also Home Minister, to reveal how many prisoners were facing the gallows. 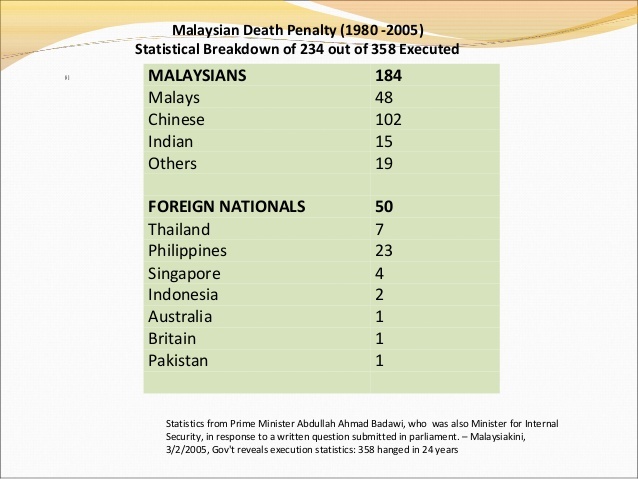 The Deputy Prime Minister also said that 16 prisoners were executed between 2014 and Feb 21, and 14 of them were Malaysians. “They were hanged for murder while one case involved a firearms offence,” he said. Last week, the Cabinet agreed to review the Dangerous Drugs Act 1952 to allow judges to use their discretion when sentencing instead of requiring them to impose the mandatory death sentence. Minister in the Prime Minister’s Department Datuk Seri Azalina Othman Said said that the review would enable judges to mete out suitable sentences in marginal cases where the offenders could be given jail terms. Dr Ahmad Zahid also said police investigations revealed that a baby-for-sale syndicate has been selling infants for between RM3,500 and RM6,700 each since 2012. He said the syndicate was uncovered by an Al-Jazeera documentary, Malaysia-Babies For Sale. In a written reply to Sim Tze Tzin (PKR-Bayan Baru), he said the investigations focused on human traffickers, a doctor and a government officer, under the Anti-Trafficking In Persons and Anti-Smuggling of Migrants Act. He said six suspects – two men and four women – were arrested in raids on two private clinics in Klang, a private clinic in Puchong and four homes in Seremban and Selangor on Nov 30 last year. Two more suspects, an Indonesian man and woman, were detained on Dec 3 last year. “It was found that the sale of babies had started in 2012 and went on until September last year. The investigations are still ongoing he added. - The Star Online"
Drugs = non permissible n illegal. Pushers shld b d ones , who r first n foremost caught n punished without trial. Death is for them. Users shld b death or improsonment , depending on the use n how much was used. Mules shld b imprisoned for as long as they shld b. Get to the pushers , suppliers , makers , growers , producers ..... annihilate them all.